Passive house windows. For the highest thermal insulation requirements. 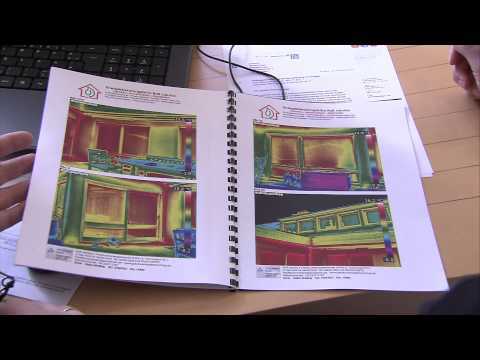 Energy saving designs are growing in importance. Today, the passive house is considered objectively to be the most energy efficient form of building: Every year, it consumes no more than 15 kWh of heating energy per square metre of living space, corresponding to 1.5 litres of fuel oil. In other words, it consumes 90% less heating energy than a conventional existing building, and 75% less than an average new building. This high energy efficiency is made possible by the combination of the windows’ refined multi-chamber design, airtight construction, triple glazing, controlled ventilation with heat recovery, as well as the passive use of solar irradiation – conventional heating is no longer necessary. By supplying fresh air regularly at pleasant temperatures, the passive house generates a cosy living climate. And there are virtually no limits to its architectural design as well, including the windows. Unlike earlier, when their design was restricted and the profile sight line presented a chunky appearance, today’s intelligent designs with slender profiles and a high percentage of glazed areas give rise to individual design possibilities and more thermal energy gains. “Passive house” is a clearly defined standard with clearly defined limits. Manufacturers must verify these values for the passive house standard by having their products certified as “passive house compatible components”. The key certification bodies for passive house windows and the passive house institute Dr. Feist and the window technologies institute ift Rosenheim. What are the differences between the certificates from these institutes? What do they have in common? The institute Dr. Feist published its passive house guideline as early as 1992. The ift guideline WA-15/2 was issued in 2011. Both institutes calculate the thermal insulation value for the window frame (Uf value) according to the requirements under DIN EN ISO 10077-2, but with different software. ift not only calculates, but also measures this value using the hot box method. This involves testing the window installed between two chambers kept at different temperatures. The measured value generally approximates better the field conditions than the calculations, which necessarily involve a safety margin. Dr. Feist includes the whole building in its calculations, whereas ift analyses only the window itself. All in all, however, it is the following that counts: Both institutes assume a total heat transfer coefficient (total Uw value) of max 0.80 W/(m2K) or 0.175 BTU/(hr 0F ft2) for their certification of windows and glass facades. Hence, the one or other certificate verifies the passive house suitability of windows, and is therefore a reliable source for window makers, architects, and developers. The correct advice and the proper installation of windows are crucial to the efficiency of a passive house. So please contact your qualified specialised window maker near you for all questions about this subject.